The last couple of months I have created some new knitting projects using chunky yarns. One of the projects is a scarf and the other two are cowls. 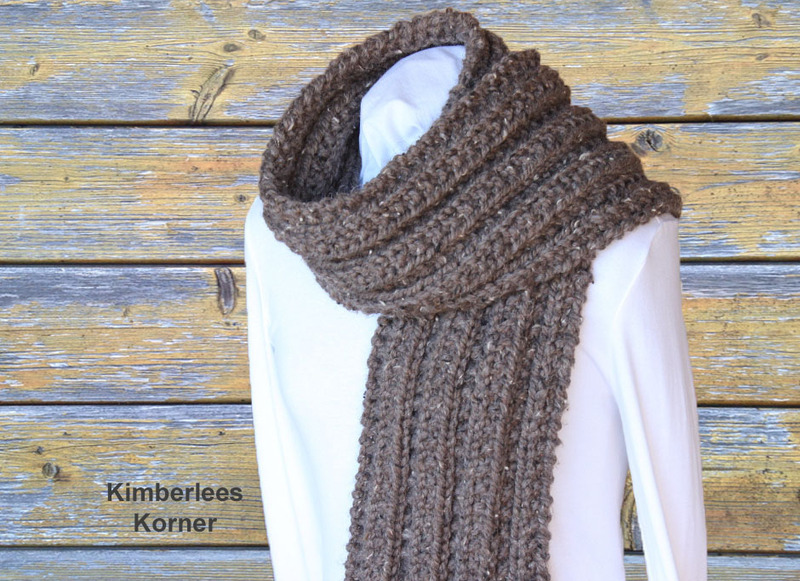 The scarf in the photos above was knit with Lion brand yarn – Wool Ease Thick and Quick yarn. It took two skeins to complete this scarf. It works up really fast on large size US 13 knitting needles. I really like the stitch I used to design this scarf as it is reversible – meaning it looks the same on both sides. 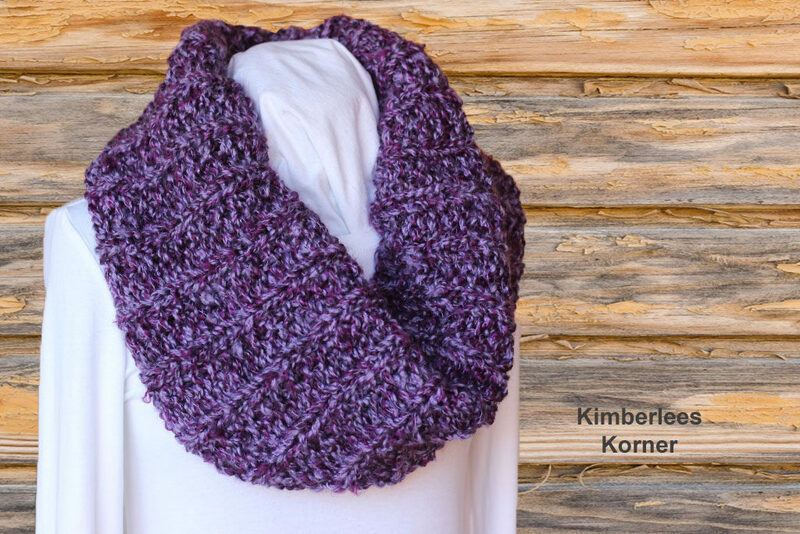 The purple cowl above is another knitting project using chunky yarns that I have recently completed. 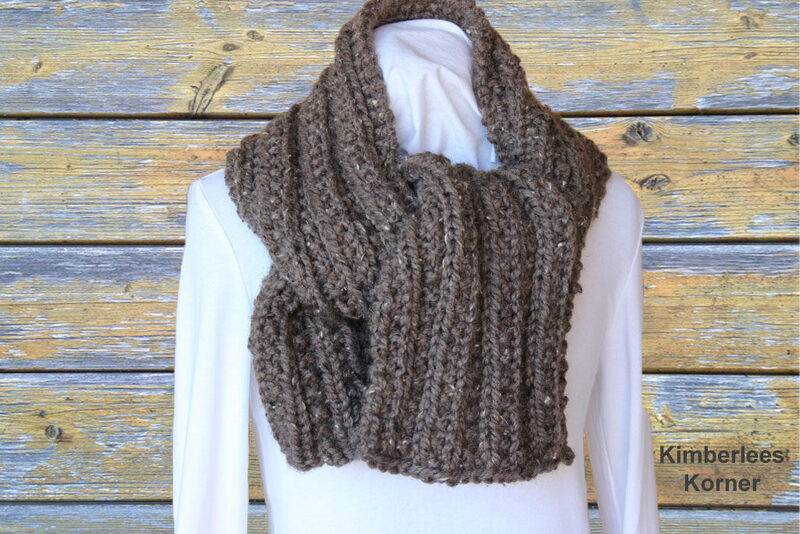 The yarn used for this cowl was from Michael’s. It is their brand of yarn called Country Loom from Loops and Threads. This is a nice yarn for a reasonable price and it knits up quickly. I used a size US 15 to knit this cowl. The cowl is knit in the round using circular knitting needles so there is no seam. This knitting project also took 2 skeins of yarn. My most recently finished knitting project using a chunky weight yarn is the cape – cowl in the photos above. This design is also knit using the Loops and Threads Country Loom yarn from Michael’s. It is knit using size US 15 and size US 13 circular knitting needles – it is knit in the round. 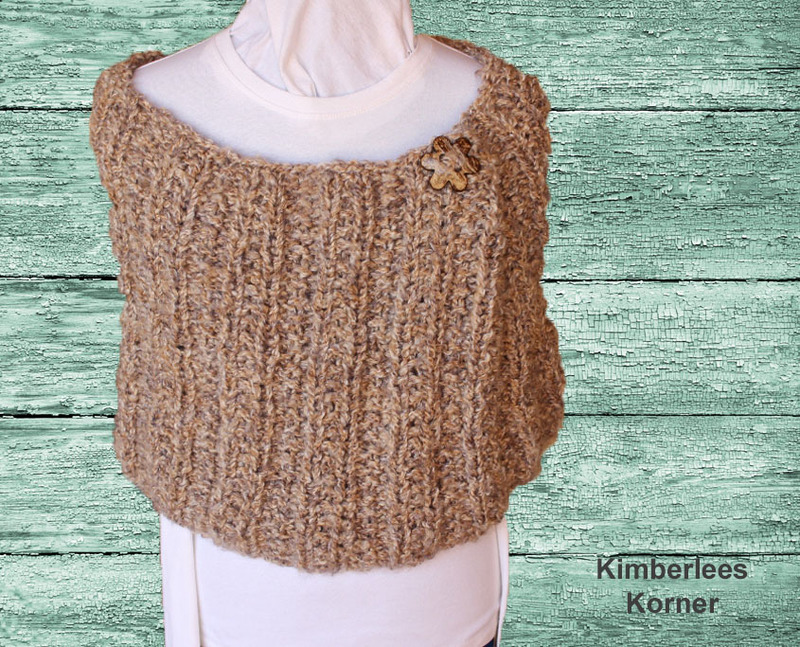 This cowl – cape is knit using a different stitch than the purple cowl and it is slightly wider so it can also be worn as a cape to keep the shoulders and back warm. I love how it turned out with the big large wood flower button at the top. All of the above designs can be found in my etsy and craftsy shops. I will also be putting them in my ravelry store and on the Love Knitting site. You can click on the highlighted text to take you to those links for my patterns. What are some of the chunky weight yarns you like to knit or crochet with? Let me know in the comments. 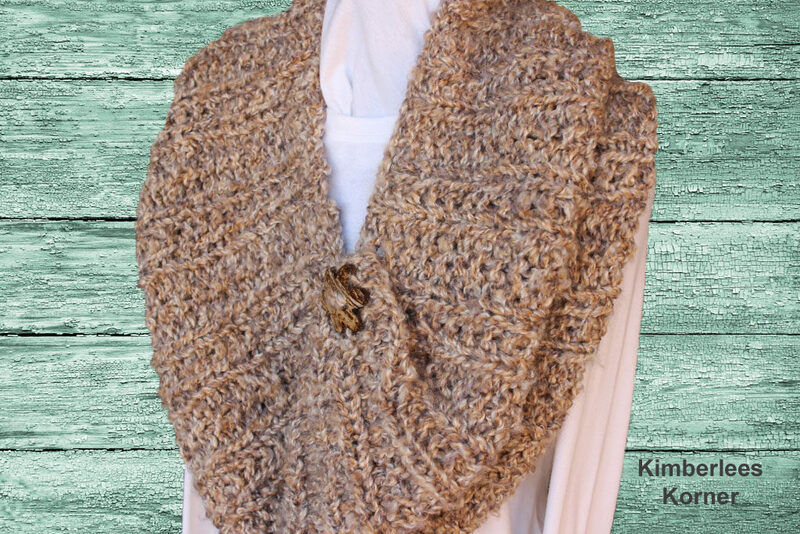 This entry was posted in Knitting and tagged in chunky yarn projects, knit cowls, knit scarves, knitting, knitting patterns, knitting projects using chunky yarns.